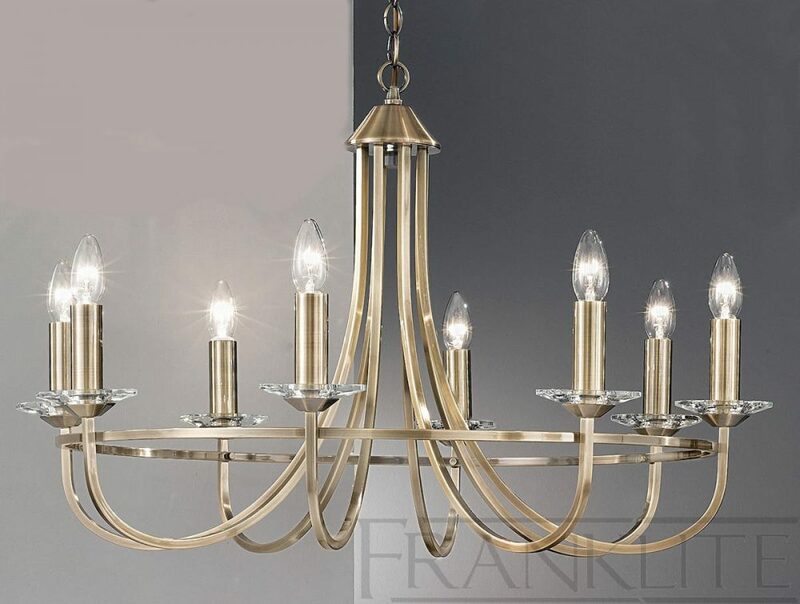 This Franklite Carousel modern soft bronze finish 8 light chandelier is elegant and features sweeping metal work and crystal sconces. Boasting ceiling cup, chain link suspension and sweeping curved arms, with a bold cartwheel central brace. Fitted with candle style lights, faceted crystal candle pans and chrome candle tubes. This inspired lighting design looks wonderful with or without shades in any modern or traditional dining room, hallway, landing or living room. A range of fabric clip-on lamp shades are available for this chandelier that can be viewed on other fittings in the range; please scroll down to view options and contact us to enquire. Please note: If clip-on lamp shades are used the maximum wattage is reduced to 40w per lamp. Height adjustable at the time of installation, please see the technical information below for further details. Part of the Carousel soft bronze finish lighting range that includes eight and fifteen light chandeliers and a double wall light. Also available finished in polished chrome; please enter the term Carousel in the search box at the top of this page to discover the complete range. 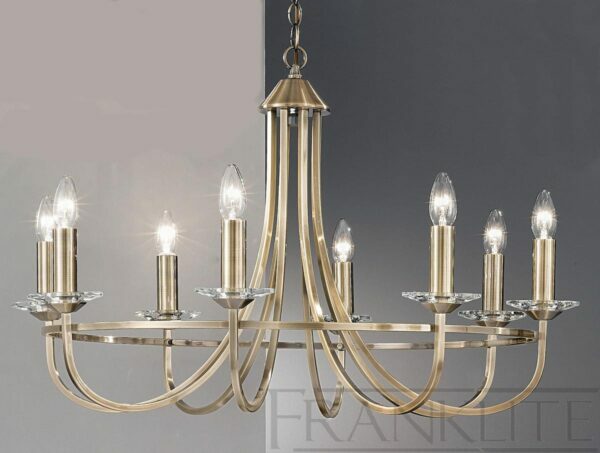 This light is supplied by Franklite Lighting who have been one of the pioneers in the design, manufacture and distribution of high quality lighting such as the Carousel modern soft bronze finish 8 light chandelier you see here.